Jennifer Colucci is a compassionate, wise and cultured woman. Jennifer has studied and worked in the healing arts field since the mid-90s. From herbology, massage therapy, yoga and life coaching, Jennifer is a well-rounded individual and brings many different modalities to the table. In 1997, Jennifer completed 1000-hour massage therapy program at the New Mexico Academy of Healing Arts in Santa Fe, NM. Jennifer has since practiced and studied all over the world, owning her own business, working on clients such as UCLA football players, San Francisco Ballet, paraplegics, MS patients, pregnant woman and the elderly. Jennifer calls her style of massage “Synergy” or Integrated Structural Therapy for she blends the modalities of Ortho-bionomy or subtle “Chiropractic Range of Motion” with Deep tissue, Swedish, Cranial Sacral, Polarity and Thai pressure points and stretches. Whether it be a serious injury or an overall therapeutic style massage, Jennifer will blend her techniques and skills to address what is happening in the moment. Jennifer currently hold a license for Massage Therapy in the state of Florida and completed a 150 hour Thai massage training in Chang Mai, Thailand in 2015 fulfilling her dream to study in the far east and now has over 350 hours in various styles of Thai Training. In the spring of 2012, Jennifer made her way to Costa Rica where she studied Vinyasa Flow Yoga with Real Evolution Yoga at the Peace Retreat in Playa Negra. Jennifer has since been to Costa Rica on multiple occasions studying, practicing and teaching yoga, working at different eco lodges and retreat centers and now hosting her own yoga retreats. In the fall of 2017, Jennifer completed a 300 hour multi-style yoga and meditation program at AYM in Rishikesh, India completing her 500 hours of yoga training. Jennifer is constantly evolving as a conscious and empowered human being, sharing her love for yoga and adventure with those she meets. Jennifer is 500 hour registered by the Yoga Alliance and lives and works in Naples, Fl teaching hatha, vinyasa, restorative, yin and therapeutic styles of yoga. 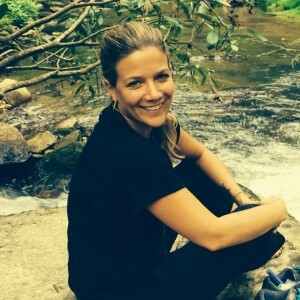 Jennifer established her business, “Awakening through Synergy,” in the fall of 2014, for as a talented massage therapist and yogi, she synergistically blends these arts to awaken and inspire people into their greatest potential. Since returning from Thailand, Jennifer is blending the art of Thai massage and concepts drawing from yoga, pilates and physical therapy that she calls this “Synergistic Thai Yoga Therapy,” to assist her clients with specific conditions. Jennifer is currently teaching Thai Bodywork workshops in the United States and has developed a Thai Yoga Therapy program for continuing education that she teaches to massage therapists.